Note: The orignal post can be found here from Panda Security. 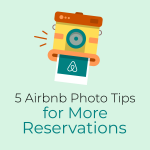 The below blog is a modified version more relevant to Airbnb hosts. In a time when almost everyone relies on WiFi, connection is key. Thanks to WiFi, endless cords, ports and connectors are things of the past. However, like every technology, WiFi has its problems. Everyone, hosts and guests alike, understands the frustrations of dead zones, slow internet speeds and tech support calls. WiFi routers inhabit millions of homes, giving us access to the internet and integrating with smart technology such as refrigerators, virtual assistants and smart TVs. Many guests also rely on WiFi in order to keep their business buzzing or to work remotely. While WiFi has greatly improved over the past few decades, there are still many issues with connectivity. Read below to find out how you can boost your WiFi signal, and to learn about ways you can prevent WiFi interruptions. When installing WiFi, you can keep the default name and password it comes with, but with so many WiFi networks in a given area, it can be confusing to remember which is which. Guests have multiple devices so don’t make all your guests enter &hgskVS9S68jd* password into all their devices. Instead, why not optimize this part of your hosting strategy? To distinguish your WiFi name from other hosts and perhaps generate some laughs, check out our creative WiFi names below. Location is key with a WiFi router. WiFi networks have a range based on their frequency, antenna type, and location. You’ll want your router to be stationed where you need internet the most. Walls and barriers in your home can make it harder for WiFi to stay consistent. If the network has to cover an area larger than it’s capable of transmitting, the performance can falter too. There are many ways your connection might be less than ideal. Perhaps unknown devices are connected to your network, or your antenna has shifted. The following are useful ways you can boost your WiFi signal for better connectivity, wherever you are located. As simple as it may sound, the actual location of your router matters. Place your router in a central location of your home to emit the most signals. You’ll also want to avoid surrounding your router with metal objects. This means that the kitchen and tool shed are out of the question. Avoid placing your router near thick walls, and set it up high. This allows the router to emit radio waves out and down throughout the home. Lastly, keep your router away from high-traffic areas in your home or office. If the router is in the same vicinity as a large group of people, the internet connections may worsen. Internet users who live in large cities or densely populated areas are especially affected by interference, which can happen when nearby routers interfere with yours. Routers typically come preset. Many default to channel 1 and 6 frequencies, making these two channels very congested. If you encounter interference, try choosing a low frequency band that doesn’t overlap with other channels. To change your WiFi channel, you’ll need to login to your network’s webpage (ie. Comcast, Netgear). From there, it depends on the network but most require that you select Advanced Settings to Wireless Settings, and from there, there should be an option to choose Channel Settings or Channel Menu. If you switch to a less active channel, you can increase your WiFi signal strength and avoid complications with other technologies. Thankfully, newer routers can feature technology that automatically selects ideal WiFi channels. If you have an older model, try using a tool such as Fing, an app that scans networks and lets you know which devices are connected to which networks. An additional form of interference can include large electronic appliances such as microwaves, phone systems and baby monitors. For example, a cordless phone station and WiFi router operating on the same radio frequency can cause interference. If the WiFi router is too close to the cordless phone station, users may experience delayed or low-quality phone reception. Make sure to keep a cordless phone station in a separate room, and avoid placing your router near baby monitors and other radio transmitting devices. Bandwidth allocation is another cause of slow WiFi signal. While you may not live in a condensed area or have other interfering applications, if one device is eating up a large chunk of your bandwidth, your WiFi signals can decrease. To make sure you are evenly distributing bandwidth, be sure to disconnect any devices you are not actively using. If you have disconnected devices you’re not actively using and still encounter issues, you may want to limit the amount of bandwidth allocated to each device. This can be done by setting up QoS or Quality of Service rules on your router. QoS is a function on your router that allows you to designate the bandwidth of each device based on priorities. If your device is older, you may not have this functionality. To set up QoS, visit the manual that came with the WiFi router. Depending on your needs, you can replace your existing antenna with a stronger one or add an external antenna. There are many companies that offer universal antennas. Antennas with higher “gain,” measured in dBi, are stronger. However, high-gain antennas are more directional because as gain increases, vertical beamwidth decreases. It may be helpful to purchase a high-gain external antenna and point it in the direction of your dead zone for stronger coverage throughout the house. 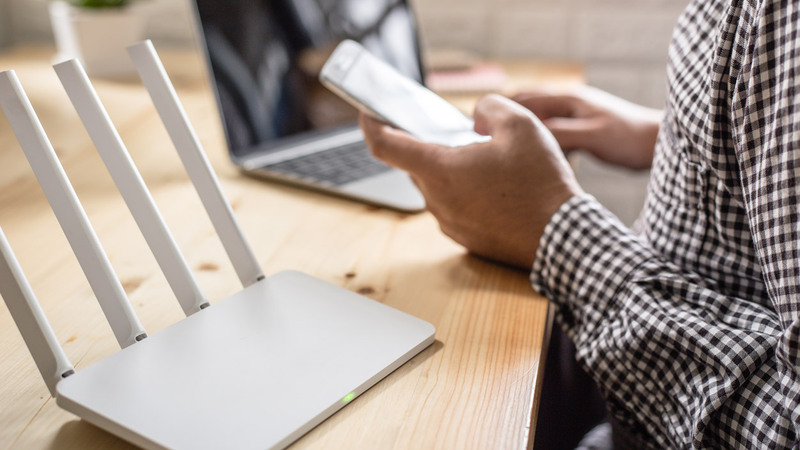 While your router may be in the safety of your home, prying neighbors or malicious hackers may try to connect to your existing WiFi network. The easiest way to keep data-moochers at bay is by using the cloaking method. If people cannot see your network, they most likely cannot connect to it. You can do this by hiding your router’s SSID or the name of your WiFi network. This allows only users who physically type in the name of the network to find it. You can turn on the SSID broadcast option in the firmware settings of your WiFi router. With a hidden ID, you are on track to securing your router from outside intruders. The next step, of course, is to make sure your username and password are secure. Change these immediately once you have hidden your router from others. Your password should be at least 14 characters long with a variety of letters, numbers, and characters. You should also consider a Wi-Fi monitor that allows users to see the computers that are connected to their network. That way you can automatically detect intruders and block computers from accessing your computer. If your router is in an optimal place and still lacks range, you can extend its signal with a cost-effective hack. The Windsurfer tin foil hack only takes about three minutes and involves taking aluminum foil and placing along your wifi antenna, leaving one half of your antenna exposed and the other covered in tin foil. While the results are usually not astounding, it should give your WiFi signal a slightly wider range. If you find yourself occasionally rebooting your router to ensure it doesn’t cut out, you may want to consider scheduling a reboot. Before scheduling, run the tests to make sure your WiFi problem is not based on old age, heat or excessive downloading. 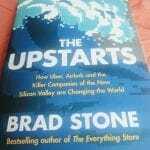 Once you have gone through this list, try automatic reboots every day. You can do this with a regular outlet timer and set a time to reboot each day. This should be a time when you are not using the internet, perhaps in the early morning or middle of the night. Once your scheduling is set, you shouldn’t have to reboot your WiFi router nearly as often. If your range is large, like a three-story home or large office space, you should consider installing a wireless range extender to help boost your signal. Wireless range extenders pick up the existing Wifi signal from your router and rebroadcast it. Your network router views this range extender as another device with an IP address rather than a router. 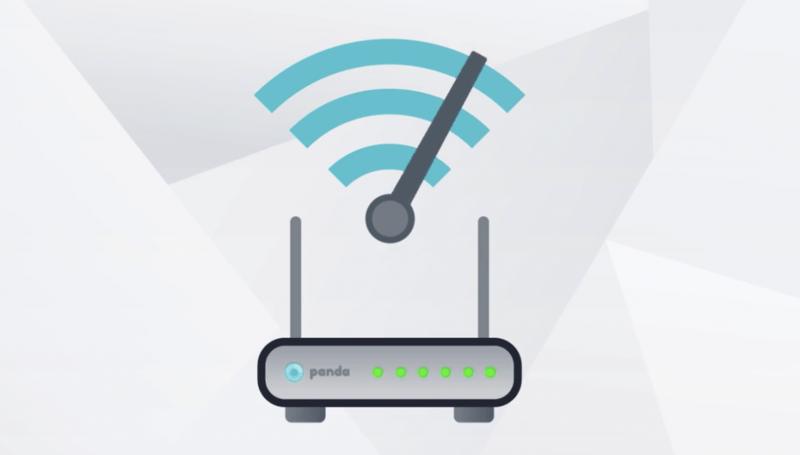 Make sure that your extender is in between your regular network router, and the “dead zone,” or part of the home that cannot connect as easily. Make sure your extender matches the existing router’s signal, for example, if your router is 802.11ac, make sure your range extender is the same. 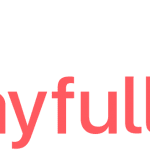 Click here for OptimizeMyAirbnb.com’s Wi-Fi extender recommendation. In order to keep your WiFi running smoothly, make sure your network is up-to-date with the latest hardware that fits the current standard. The current WiFi standard is at 802.11ac. If your router predates this standard and you’re having issues, you may need to upgrade. If you have purchased a router with this standard in the past few years, there’s no need to purchase a new router. However, it may be helpful to ensure your firmware is up-to-date. Firmware can help performance along with security for your network system. Some routers may come with a helpful companion app that will show you the latest updates, but many may need to be updated manually. Instructions vary based on your router model, and you will need to log in through a browser on your computer with the router’s IP address. Intel recently announced that within this year the next generation of WiFi should be at 802.11ax. Of course, this means that this will be the fastest to date, but will not be adopted until 2019 or later. Whether your internet is running slow or continues to cut out, WiFi signals can become unpredictable. While you can splurge to purchase a new machine, it may be a simple fix to boost your WiFi. Follow these tips to ensure the best range and speed for your network. In addition to updating your WiFi, you may also want to consider downloading an antivirus for overall internet security. As wi-fi usage is ubiquitous, take heed of this personal wi-fi usage note: If using public WiFi is necessary, you should connect to a VPN. A VPN encrypts your internet connection to secure it and protect your privacy and information. When you are connected to a VPN, no third-parties can access your information over this network. To stay protected at all times, consider downloading a VPN for home networks as well. Have you tried any of the above ten hacks? Which worked best for you? Can you share a WiFi hack not covered in this article with the community? Blog content is free. Though each post takes an average of 13 hours. Make a donation if this post was of value to you. 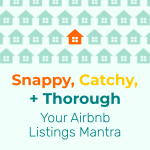 Starting in 2012, Danny has been an Airbnb employee, Superhost, and Airbnb property manager. Danny lives in Airbnbs (600 nights). 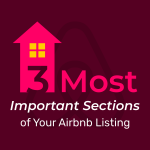 As a guest, Danny has traveled to 29 countries and sifted through thousands of Airbnb listings, so he knows what makes a listing stand out and how to offer a world-class experience to your guest. Follow his journey. 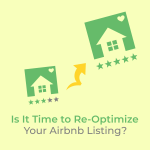 Optimize YOUR Airbnb, a 92% 5-star reviewed book, is a collection of intermediate and advanced strategies for the Airbnb host wanting to elevate their success. 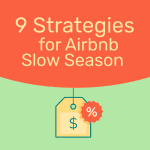 This information comes from years of reading, thinking, implementing, and testing strategies on the Airbnb platform.